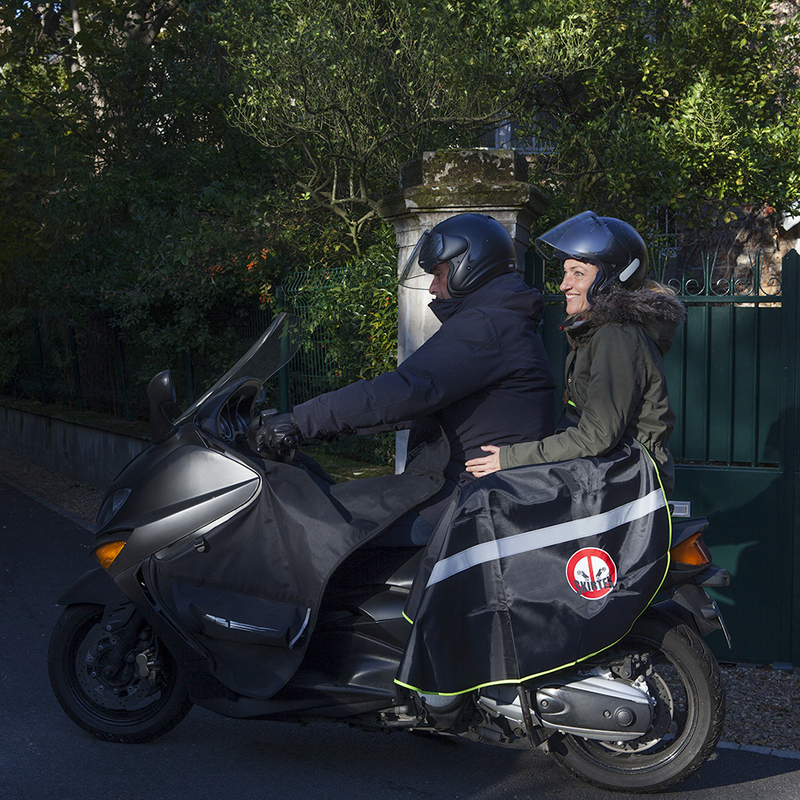 Skirtex is the breakthrough for YOU passengers on two wheels. Imagine for a moment be safely installed in the back of a scooter or motorcycle, warm and dry. That's Skirtex. THE solution to ensure a comfortable journey. The ULTIMATE scooter and bike lap apron. No cold legs in the harshest conditions. No wet pants, even in the densest rain. Also no problem to wear a skirt, since you are installed quietly under the SKIRTEX, safe from scrutiny. That's all this SKIRTEX. But not only. It is also a protection solution without attachment of some sorts. You just sit under the SKIRTEX without having to think about it .. SKIRTEX cares for you. Skirtex is also two reflective strips on every single one of its sides. Result, a better side visibility.